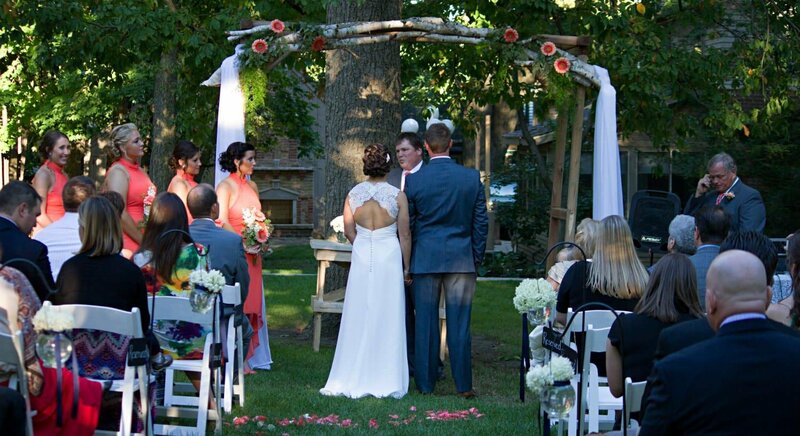 Whether you want a vintage wedding or a modern ceremony in historic surroundings, Vrooman Mansion is the perfect setting for your dream wedding. Your special day deserves the unique elegance our grand estate provides. 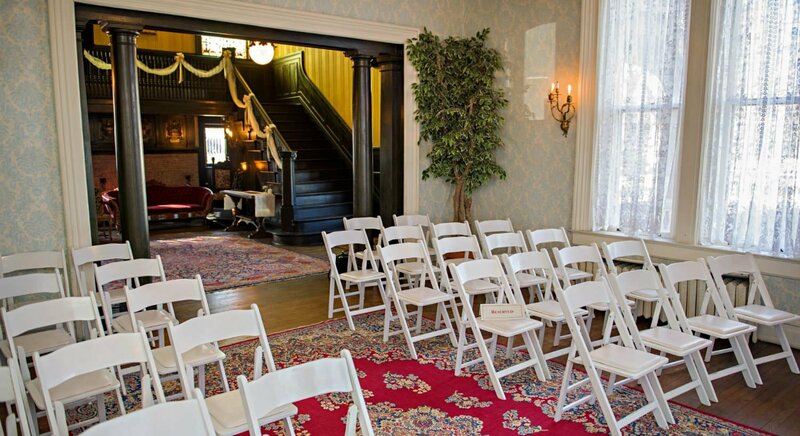 The Vrooman Mansion of Central Illinois can accommodate up to 100 guests – or less for a smaller, more intimate ceremony. 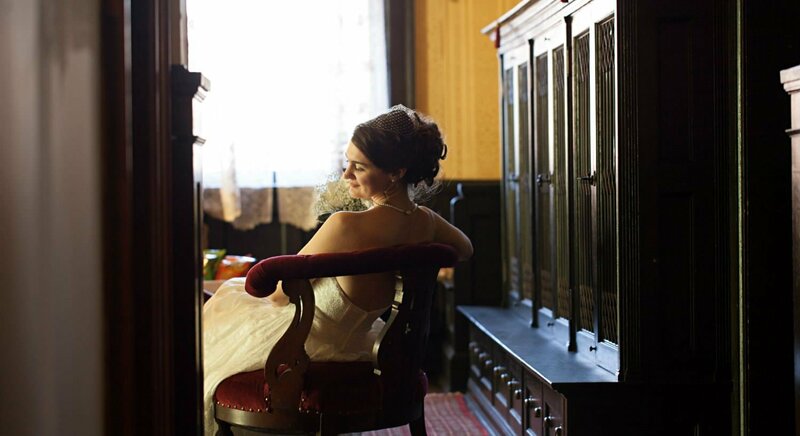 You and your guests will be enchanted by the historic details of our wedding venue, as well as the modern amenities. Consider reserving rooms and suites for overnight accommodations or for changing areas for the wedding party. Elegant photo opportunities are available indoors and outside throughout the grounds. 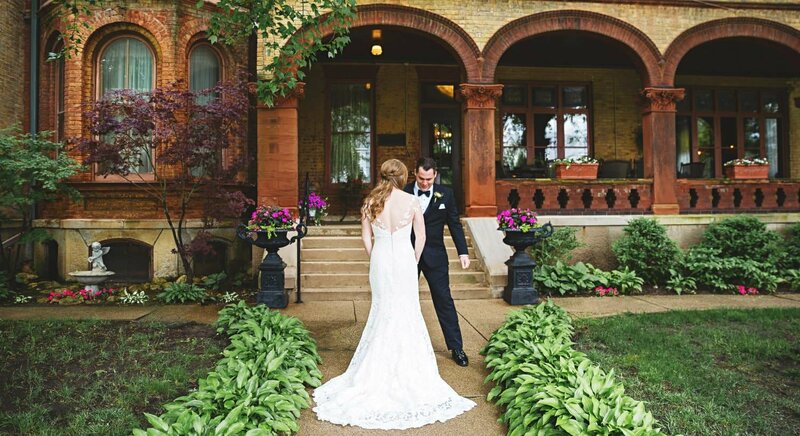 The Vrooman Mansion, with its terra cotta exterior, makes a lovely backdrop for bridal photographs. 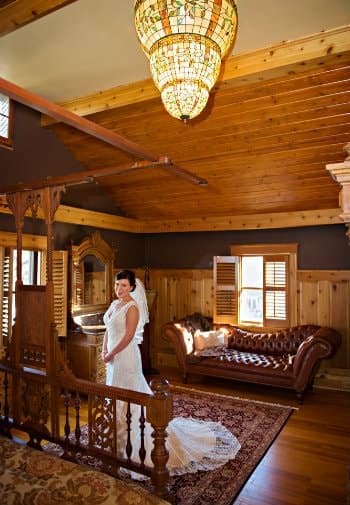 Our Carriage House, restored and renovated with spa-quality amenities, is a luxurious choice for a honeymoon cottage. 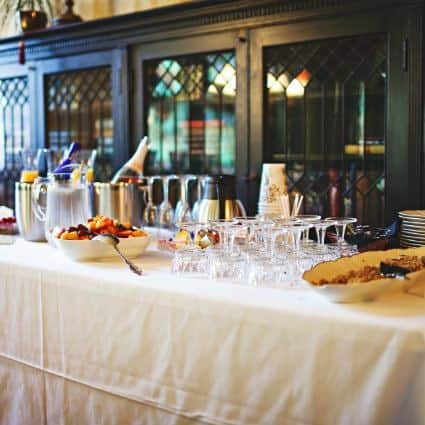 We love hosting wedding receptions, rehearsal dinners, bridal showers and more, and we provide convenience and choices to our guests. 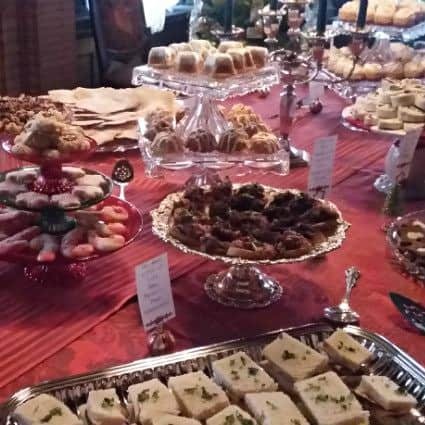 Imagine your own cocktail party, a family-style buffet, or an elegant plated formal dinner that suits your taste and spirit. The acoustics in the Main House will gently amplify our own piano, a local string quartet, or other musicians. 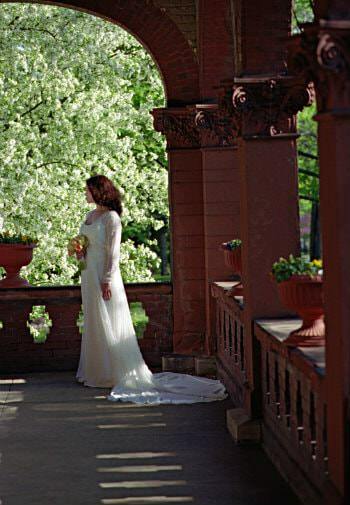 Talk to the staff at Vrooman Mansion about convenient ways to plan your wedding, vow renewal, or other cherished event. 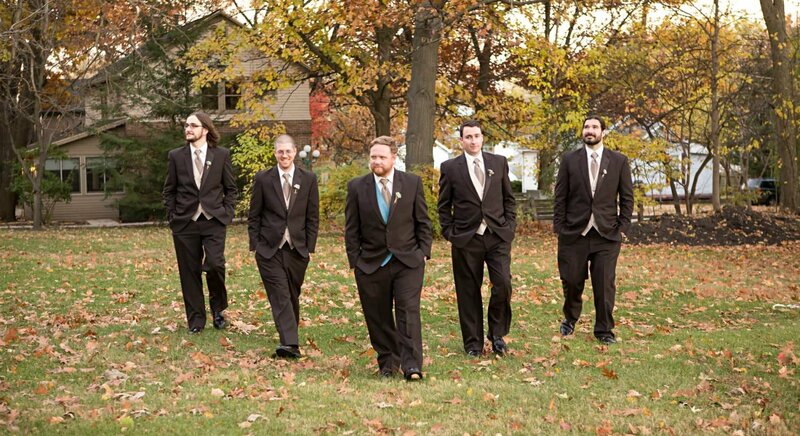 From local photographers to ministers or other officiants, we have a list of resources at your service. Our grand staircase is just one of your choices for making an entrance; every bride has many options for customizing her ceremony and reception from start to finish. 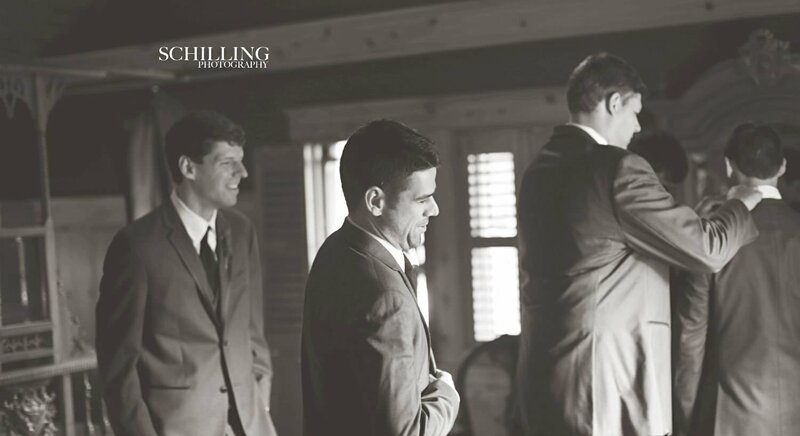 We can coordinate with your wedding planner; however, many of our guests choose to work with us directly. 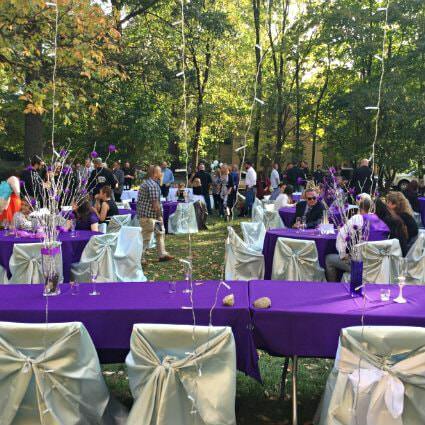 You’re making decisions from catering to seating and more — we’ll make it easier. Let us work with you to create an enchanting event. 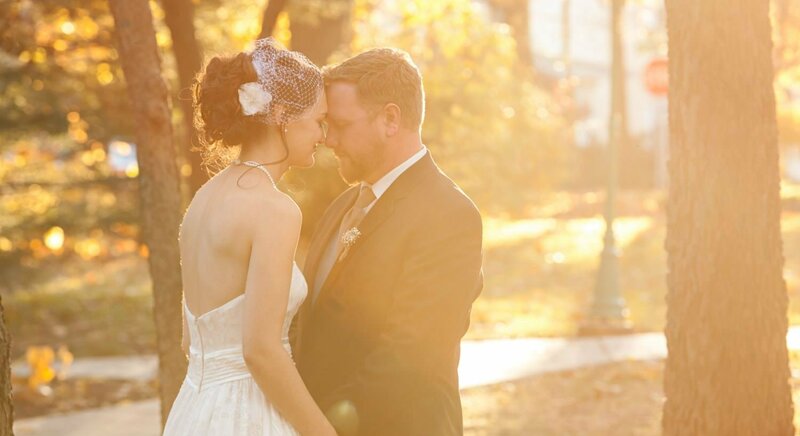 We can help you create the wedding you’ve always dreamed of. 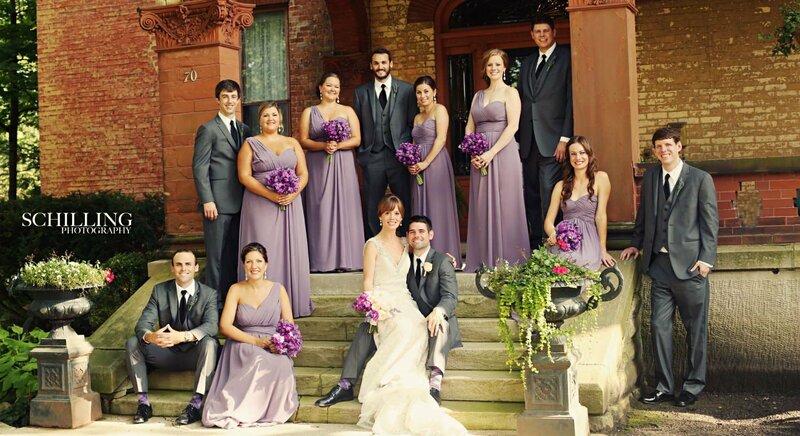 Seven suites provide overnight accommodations for you, your bridal party, family and friends. Our beautiful rooms are the perfect places for all of your preparations – and they will create lovely backdrops for your wedding photos. What could be easier than having your bridal party and/or immediate family under one roof to enjoy getting ready and having photos taken together before the big event? 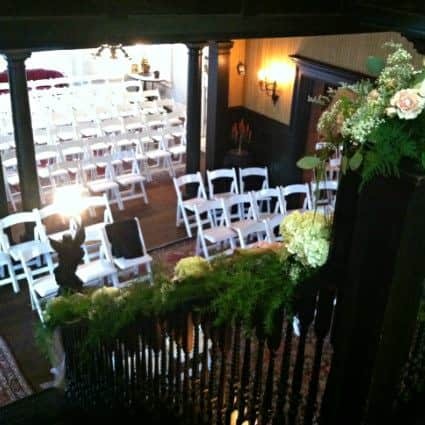 Elegance and convenience are just two of the numerous advantages of having your wedding at the Vrooman Mansion. And don’t forget about your special night! 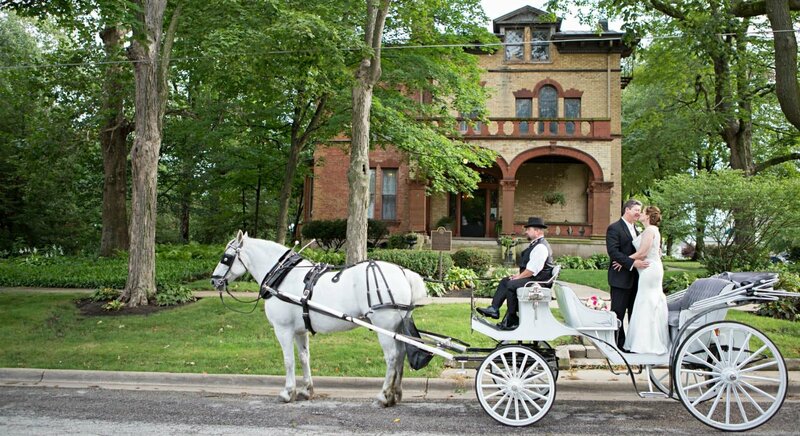 The Carriage House is the perfect retreat for the two of you on your wedding night. We suggest booking the entire house for just the two of you to enjoy. Because it is separate from the Main House, you will be guaranteed the utmost privacy for a relaxing and romantic evening. 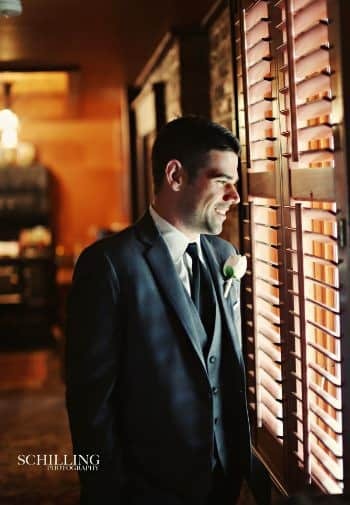 Every detail, from your wedding photos to the guest accommodations, will leave a lasting impression on all those that attend. Make a weekend of it…Relax and spend the night. Let us provide you with a wonderful breakfast before you begin your preparations. 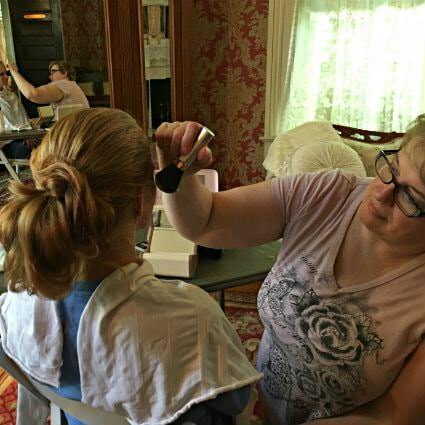 We can arrange for hair stylists and makeup artists to provide services in your suite while you talk and visit as a group. Enjoy a mimosa bar with lunch before starting the long day of pictures and celebrating. And, we can’t forget about the guys! 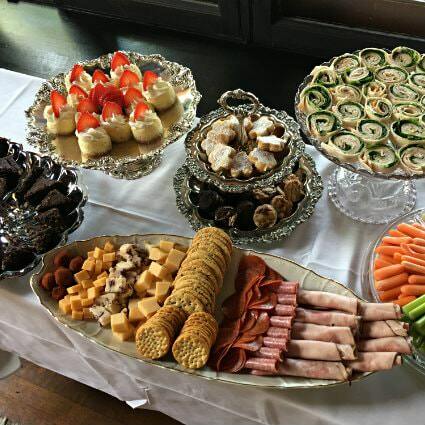 While the girls are adding their final touches in the Main House, let us set up lunch for the guys in the Carriage House. They can relax, bond, and watch sports on the 42” Smart TV. Read below for all of our special deals. All beverage and food options can be set up in your suite or in the dining room; will serve 8-10 guests. Below prices do not include tax & gratuity. Take the edge off the stress by sipping on a refreshing mimosa! 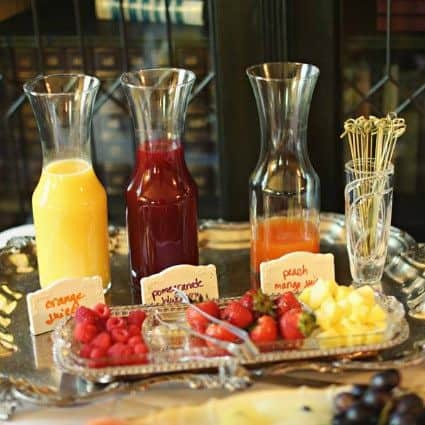 The mimosa bar includes two complimentary bottles of champagne (a signature and a sweet rose), a variety of fresh fruit pieces, and three different fresh fruit juices. For the girls, we keep it light and easy to eat. And for the guys, a little more substantial. 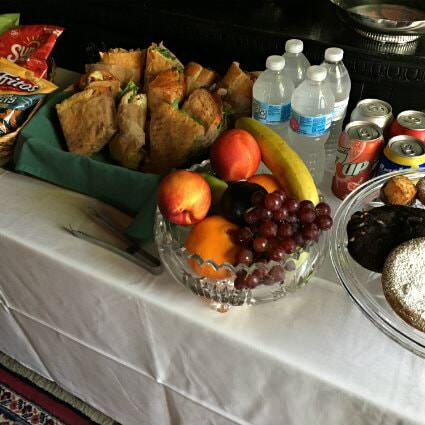 Ask us about our custom menu, which includes gourmet sandwiches and wraps, chips, whole fruit, and homemade cookies with bottled water and soft drinks. No time for lunch? We can provide an assortment of snacks. Ask us about our menu and pick a variety of up to six items. 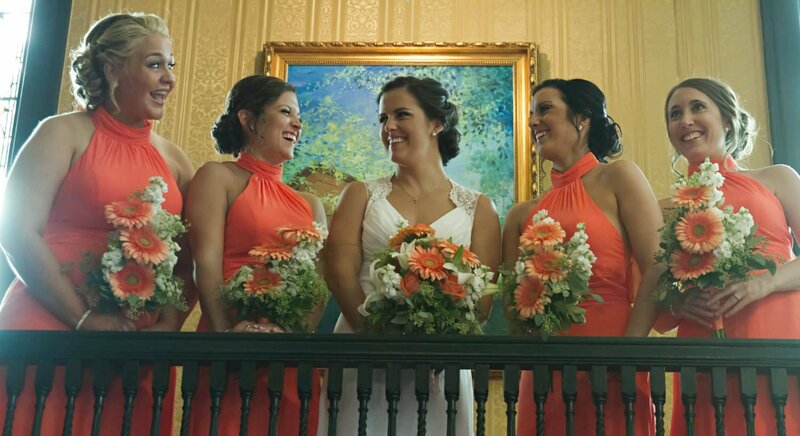 Let us schedule a professional hair stylist to come in the morning of your wedding day so you and your bridesmaids can relax in your suite. 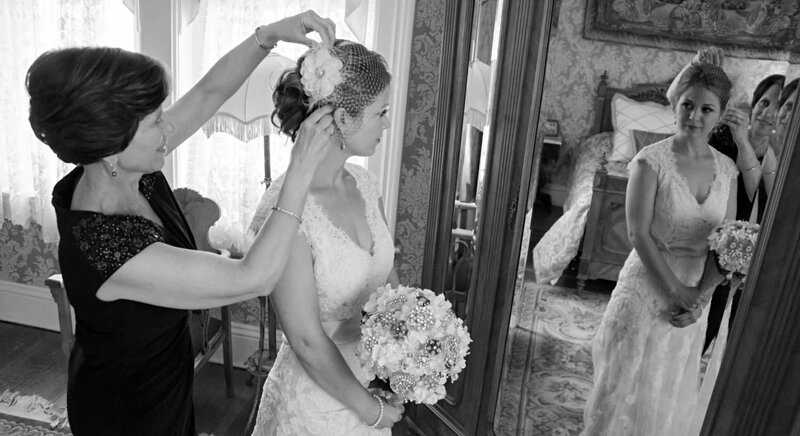 Included in this service is a trial run for the bride-to-be prior to the big day. Wouldn’t it be convenient to have everything taken care of in one place? 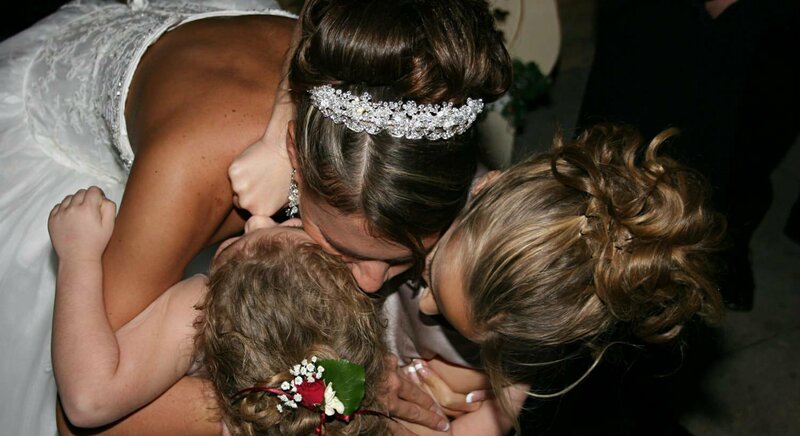 Ask us about on-site makeup services on the day of your wedding. Check in early on Friday and have your manicures and pedicures done here with a lunch buffet. Or add an extra day and include a relaxing massage. Ask about availability. Enhance the romance of your wedding day by treating your guests to an atmosphere of authentic Victorian splendor. 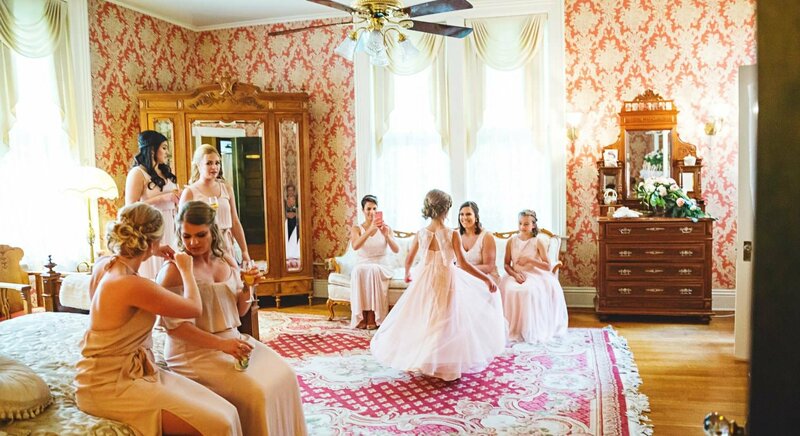 From the beautiful surroundings to the meticulous detail of each of our rooms, the Vrooman Mansion sets the mood for an unforgettable day. *Please call or email for more details and restrictions. Below prices do not include tax & gratuity. As I sit in Master’s Chamber, I can’t help but be brought back to the 1900, every room is just wonderful! Our oldest daughter will be using Carl’s Suite to get dressed for her wedding tomorrow. The house is so warm and cozy, despite its enormity! The aroma from the kitchen for breakfast makes you want to hop out of bed so you don’t miss a thing! 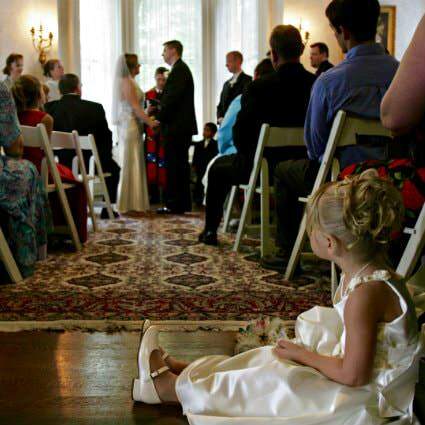 ..Wedding Day – everything is perfect. The wonderful rooms, the atmosphere and staff, it doesn’t get any better than this. We cannot express how wonderful and beautiful everything is!